Over the last 10 years, ICS Consulting has grown from a one-person operation, to an organisation dedicated to making compliance efficient, affordable and easy. With a team of 20 (and growing) consultants across Australia we complete numerous ISO certifications and related compliance projects every year. Passionate about making ISO compliance fit YOUR business, our consultants seek to add value through industry expertise, solid communication and a can do attitude. Our consultants’ comprehensive expertise includes: Integrated HSEQ management systems, Quality Assurance, TS 16949, OHS and Environmental Management System development and auditing, Food Safety System development (HACCP/BRC/SQF) and auditing, Business Process Improvement, Product Certification, Risk Assessment, NATA certification and much more. With our wide range of combined expertise, we are able to provide valuable insights and service to almost any industry or company type from small to medium size, heavy industry to service organisations. Are highly qualified: qualified lead auditors registered with either Exemplar Global or IRCA international or equivalent. Have excellent interpersonal skills (both verbal and written): and are adept at putting your staff at ease. Are conscientious professionals: are diligent and discerning in their analysis of your business needs and the generation of value adding solutions for your business. Specialise: in working with clients from diverse socio-economic and cultural backgrounds. Principal of Integrated Compliance Solutions, Heather has been training, consulting and auditing for over fifteen years in sectors as diverse as education, food manufacturing, printing and packaging, automotive parts, healthcare and a wide range of other manufacturing, distribution and service industries. A Lead Quality Assurance consultant and Food Safety Auditor, Heather specialises in the development, implementation, maintenance and auditing of ISO 9001 quality management systems and HACCP/Food Safety Management Systems from inception to certification and beyond. Heather is also a qualified Certificate IV Trainer and Workplace Assessor, with extensive experience in the design and delivery of training programmes and workshops. Heather is responsible for the training and mentoring of ICS’s internal audit teams. MTech, MBA (Technology Management), Dip Eng (Aeronautical) Dip Mgt, Certificate IV in Assessment and Workplace Training, RABQSA and IRCA registered internal auditor, six sigma blackbelt. With over thirty years experience in engineering, quality, safety and environmental management systems, process improvement, performance measurement, planning and conducting internal management systems auditing, document and record control, Paul is valued member of the ICS team. Bringing specialist experience in integrated HSEQ management systems, ISO 9001 and AS 9100 (aviation industry equivalent to ISO 9001) quality management, civil and military aviation airworthiness and technical regulatory frameworks, ISO 14001 environmental management, AS 4801 safety management, six-sigma and lean manufacturing process improvement, fluid mechanics, aircraft structural repair design, project management, systems engineering and logistics planning, managing aircraft maintenance and fleet airworthiness, Paul’s compliance expertise is second to none. 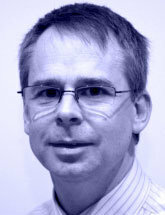 Paul specialises in developing, implementing and maintaining management systems to ISO 9001, ISO 14001 and AS 4801, internal auditing and audit planning, procedure writing and simplification, facilitating management review, preparing management systems for independent certification, business performance measurement, six sigma process improvement and staff training. App. Sc. (App. Chem). Internal auditor training in OH&S (by NSCA) and ISO 14001 (by Lloyds). With extensive line management experience in a variety of roles, including positions within; Manufacturing; Services; Management support; and State Government agency, Ron understands the nuances of operating a SME. Assisting businesses within the Manufacturing sector to prepare for external audits in ISO 9001 (Quality Management System) and ISO 14001 (Environment Management Systems), Ron is valued for his plain-English approach and can-do attitude. During his extensive time in management, Ron recognised and championed change management processes and is passionate about achieving results in the right way. Ron is a great believer in the value of teams and in developing the potential of every individual and was valued in his role as a mentor for new managers. Ron’s work with ICS has seen him assist clients with developing lean, simple and practical management systems compliant to ISO standards in the printing/packaging, print management, architecture and hospitality products industries. Lead auditor – Quality, OHS, Environmental. GradCertBus – Business Management (Curtin), Certified Business Process Professional, Level 5 (BP Group). Stephen is a hands on, business systems specialist whose primary focus is in the engineering and manufacturing environments. He brings to the table a pragmatic approach to dealing with issues of improving profitability through business process improvement, cost cutting through performance enhancement, and the provision of methodologies to align work practices with strategic goals. 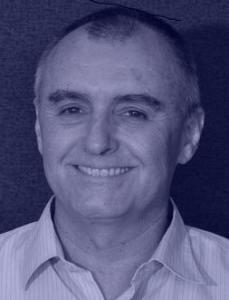 With 20+ years of business experience, backed by tertiary qualifications in Business Management, Business Process Improvement, Electronics and Computing, Stephen holds a Graduate Certificate in Business (Curtin Uni, WA), specialising in business process improvement and is a Certified Process Professional (CPP) through BP Group. Stephen is also an experienced consultant in integrated HSEQ management systems, Quality Management Systems (ISO 9001), OHS Management Systems (AS/NZS 4801) and Environmental Management Systems (ISO 14001). With strengths in customer expectation management, business process mapping and analysis, business process improvement and the establishment of management system procedures and documentation, Stephen is passionate about high quality management systems that are focused on customer satisfaction. Alvaro has more than 15 years of experience developing, implementing and improving Environmental, Quality, OH&S Management Systems, as well as integrated HSEQ Management Systems, ISO 14001, ISO 9001 and OHSAS 18001 with Aviation, Automotive, Construction, Manufacturing, Mining and Infrastructure operations, including clients such as the Port of Melbourne Corporation, as well as high risk operations with the Oil & Gas industries, both upstream and downstream. 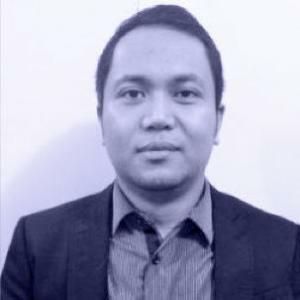 As consultant, he has an expertise developing Information to support Policies and decision making towards Sustainable Development, reengineering of process for more environmental friendly operations, decreasing the carbon footprint and assessing GHG emissions as well as the overall Life Cycle Assessment of Products. Alvaro has a broad experience in Risk and Environmental Impact Assessments, Certification of Products, organizational processes mapping, HSE training, development, implementation and improvement of Emergency Response Plans, second and third party certification auditing services and has also been consultant of the UNEP (United Nations Environmental Program), the World Bank and the GEF (Global Environmental Facility) and has writing papers on Environmental Indicators with the UNEP, and as Visitant Researcher Fellow of the Faculty of Environmental Sciences at the Griffith University. 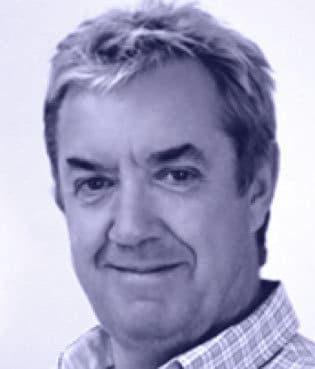 Jeff is a successful Management Consultant with 30 years experience in Quality Assurance, (ISO 9001) and 15 years experience in Occupational Health & Safety, (AS/NZS 4801) Environmental Management (AS 14001) Rail Safety Management, (AS 4292) and HACCP systems. He has consulted to Commonwealth and State Government Departments, Multinationals, large Australian businesses, and a multitude of medium sized companies, including 2 in Japan. Jeff has extensive experience in Property Management, Mechanical Engineering, Civil Engineering, Project Management, Construction, Electronics, Transport & Logistics, Manufacturing, Telecommunications, Public Transport, Horticulture, Recruitment, and Security. 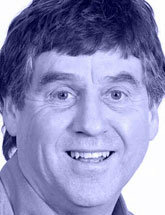 He has also worked for ‘Not for Profit’ organisations. He was commissioned to conduct a major OHS survey of Department of Defence sites across Australia. His approach is one of building on the existing client systems and utilising the experience within a company to develop compliant Management Systems which are simple and importantly, will work. He has successfully designed and implemented Management Systems for over 500 businesses in locations across Australia and continues to provide on-going support through auditing and “system maintenance” for many of these clients. Certified Technician in Quality Technology – American Society for Quality Control, Further Certificate of Quality Technology. Auditing integrated (Quality, Environmental, OHS) management systems, SAI-Global. Modules from the diploma of Occupational Health and Safety (OHS law, Workers Compensation and rehabilitation). Certified Technician in Quality Technology, American Society for Quality Control. Certificate of Quality Technology, Two years of Bachelor of Metallurgical Engineering. 25+ years experience with developing, implementing and managing QMS & HSE business processes for continuous improvement and compliance to ISO 9001, AS 4801, ISO 14001 and OHSAS 18001 at all organisational levels. At BASF interfaced daily with production staff management and clients to ensure products were compliant to the automotive industry’s quality framework ISO/TS 16949. Provision of process development, auditing, consulting, stakeholder management, training, organisational change and project management services to a wide variety of industries. Experience has been gained within various environments including resources, project management, construction, manufacturing, recruitment and engineering service sectors, including oil and gas, agribusiness, automotive and mining industries. Phaedra has worked to ensure compliance and continual improvement for large international corporate businesses such as BASF and Fluor. Phaedra has worked as an internal and external 2nd party auditor across various industries and states across Australia and New Zealand. Bachelor of Science in Business Entrepreneurship, Exemplar Global (RABQSA) – Management System Auditing, Exemplar Global (RABQSA) – Quality Management Systems, Exemplar Global (RABQSA) – Environmental Management Systems, Exemplar Global (RABQSA) – OH&S Management Systems, Exemplar Global (RABQSA) – Leading Management Systems Audit Teams, Bachelor of Business Entrepreneurship, with Honours, RMIT University. 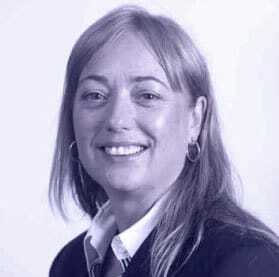 Linda McNeill is a qualified Lead Auditor specialising in ISO 9001, ISO 14001 and AS 4801 in the Oil and Gas, Manufacturing, Fabrication and Engineering industries. She offers her clients an understanding of the standard on both theoretical and practical levels. Besides her strong technical background, Linda offers management and business with a bachelor in Business Entrepreneurship. This rare mix of business and engineering experience allows her to audit and work with clients across their whole business. Linda specialises in working to get small to medium service companies ready for ISO 9001 certification (under 40 employees). Over the past year she has worked with small to medium sized Electrical, Technical Inspection, Fabrication, Distribution and Engineering companies. Linda’s auditing experience spans a wide range of businesses in the heavy industry supply chain, from large fabrication operations in Vietnam, distribution facilities in Houston Texas, control valve manufacturers in Edmonton, Canada, repair and maintenance workshops across Australia, forging houses in England and testing and assembly facilities in Italy. Over several years Linda has implemented, managed and developed certified quality systems for several complex businesses. 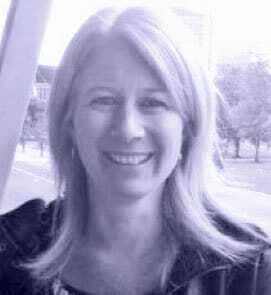 Linda is also able to conduct VICROADS audits and prequalifications. Swinburne University of Technology, Diploma in OHS Management, 2011, University of Ballarat, Certificate IV in OHS, 2006. Karen is an expert in quality, OHS and environmental management system development and implementation, with the approach of streamlining, simplifying and integrating (Integrated Management Systems [IMS]) where more than one system is required. Karen specialises in adding value to your business through embedding quality, health and safety (OHS / WHS), environmental and industrial relations processes into existing business processes so that you can successfully start-up or grow your business. She helps her clients achieve third party pre-qualification or certification, assist with business planning and create a safer working environment so that they have a sustainable and profitable business. Karen has over 17 years’ experience in health and safety, quality and environmental systems, consultancy, auditing and risk management. Specialising in helping small-medium business owners build on their strengths to win tenders of higher value, get certified to Australian/International Standards, meet third party or legal obligations, and create a safer sustainable business. Karen has worked successfully in partnership with SME, including civil construction, housing and commercial construction, water/wastewater authorities, guardrail installations and maintenance, refrigeration and electricity industry maintenance, toll road operators, concrete manufacturing plants, builders, trades, Principal and Head Contractors and Subcontractors. Karen has developed and implemented Integrated Management Systems for successful achievement of certification to Quality (ISO9001), OHS (AS/NZS4801 and plans to transition to ISO45001) and Environmental (ISO14001) for various civil construction contractors and their transition to the updated versions of the international standards. VicRoads, Construction Supplier Register.) She has also conducting various audits, including internal audit, VicRoads compliance audits, ISO gap audits and site audits plus on-site or remote advice, documents, systems, audits, risk management and other services for numerous companies in energy, electrical, road, rail maintenance, telecommunications, commercial and residential building industry. Bachelor of Applied Science (Chemistry), Certificate IV Workplace Assessment and Training (TAA), Trained Quality, OHS and Environmental Management Systems, Lead Auditor. 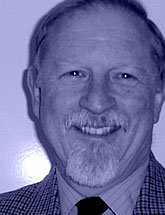 Qualified as Bachelor of Applied Science, auditor in QSE management systems, training and assessment and OHS risk management, John has more than 30 years of wide practical experience in Australia in the fields of manufacturing, construction, analytical chemistry, environmental science, retail and high school teaching. The training and analytical skills and insights developed through these have facilitated more than ten successful years as a consultant to many different industries such as architecture, engineering, construction, rail, automotive, packaging, telecommunications, medical and others. John has a strong aptitude in computing, statistics, databases and developing and using software solutions for businesses including SaaS (Software as a service) and MS Office for QSE management, process improvement, auditing, meeting management, maintenance, training, risk assessment and can provide advice on the most suitable business measurement and reporting systems. John specialises in assisting clients hands-on in developing and maintaining their quality safety, environmental and integrated management systems. So far, all candidate clients have achieved certification/s at first attempt. Indeed, one client went from losing a certification to becoming a finalist in an SAI Global management system award in six months. Such achievements he offers as a guarantee to prospective clients. Bachelor of Science in Civil Engineering, Registered Civil Engineer, Certified Environmental Practitioner (EIANZ), Trained in Integrated Management Systems Auditing (ISO9001 Quality Management Systems / ISO14001 Environmental Management Systems / AS4801 OHS Management Systems). 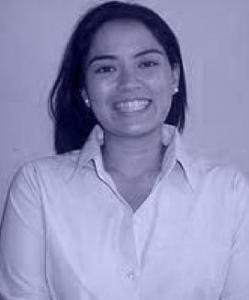 Ronie is an Environmental Engineer/Project Manager. Ronie possessed strong project management skills and solid environmental investigation background which includes Environmental Investigations, Due diligence Audits, Groundwater Monitoring, Environmental and Construction Management Plans, Site Validation and Soil Waste Disposal, Environmental Remediation, Excavation and Dewatering, Acid Sulphate Soils, Asbestos Investigation. Ronie’s experience includes twelve (12) years in Contaminated sites assessment managing Detailed Site Investigations (DSIs) or Environmental Site Assessments (ESAs), Occupational Health and Safety (OHS), Due Diligence Investigations, Groundwater Monitoring, Excavation and Tank Validation, Waste management, and Site Remediation serving a wide range of clients including Oil & Gas companies, governmental institutions and manufacturing companies across Australia and Asia Pacific countries such as the Philippines, Thailand, Malaysia and Palau. Lead Auditor, Lead Auditor Certificate & AATT, Certified Trainer – ISO 9001 Quality, OHSAS 18001 Safety & ISO 14001 Environment Lead Auditor from PECB, Return to Work Coordinator – Injury Prevention & Management from QBE, Occupational Safety & Health Administration – 10 Hour General Industry from OHSA, Occupational Safety & Health Administration – 30 Hour Construction from OSHA, Industrial Hygiene Management Certificate, Diploma in Occupational Health and Safety, Associates Degree in Aviation Maintenance Technology / Aviation Safety. 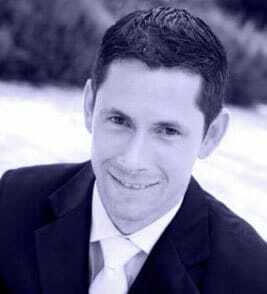 Victor began his career as an aircraft maintenance technician and has an AS Degree in Aviation Maintenance Technology with a minor in Aviation Safety from Embry-Riddle Aeronautical University. Continual education and role progression from the ground-up has seen Victor hold management roles in the fields of quality, health, safety and environment, working in a variety of organisations from family businesses to multi-national organisations. 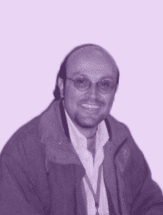 Victor’s troubleshooting approach founded in the aviation industry, combined with his formal qualifications and practical work experience has ensured his success as an auditor and consultant. Victor currently is a Management Systems Auditor/Consultant to International Standards: ISO 9001 Quality, AS9100 Aerospace Quality, AS 4801/OHSAS 18001 Safety and ISO 14001 Environment. Focused experience conducting: gap analysis, system design and implementation, training, internal auditing, integrating multiple systems, regulatory compliance (OHS, EPA), inspections, risk assessments. A certified trainer, Kate enjoys teaching, empowering and mentoring her clients to achieve business growth and to integrate ethical business strategies to improve long term profitability and sustainability. 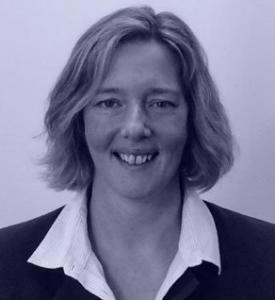 Kate specialises in assisting clients with developing business improvement strategies and LEAN systems, providing advice on Governance and risk compliance, HSE risk assessments, HSEQ systems management, monitoring and auditing. 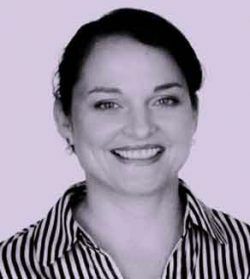 Kate has extensive expertise in the development, implementation and maintenance of Quality, Environment and Safety Management Systems within Corporate, Not For Profit, Construction, Transport and Logistics, Real Estate and Property, Healthcare and Medical, Manufacturing, Mining, Oil and Gas Projects and various Trades and Services within Australia and internationally. Kate focuses on change management and strategies incorporating efficiency frameworks such as Lean Manufacturing into business.